I’m Dr. Daniel L. Monahan. My office, the Monahan Vein Clinic, is located at 1211 Pleasant Grove Blvd. in Roseville, California. I work there with the best office staff in the world – yes, the world! My medical practice is focused on the treatment of vein disorders. You can visit our website at veinfocus.com to learn a lot about vein treatment. This blog site will deal with some of the day to day details and issues we encounter, and with many of the questions and problems with which people come to us. Or, I’ll discuss controversies in vein treatment. And, perhaps insurance or regulation issues. Though there are other vein specialists in the Sacramento region, in 2001, I became the first physician in the region to subspecialize my practice entirely on treating vein disease. Now, I think I’m the first physician in the region to start a vein blog. I am active in both national organizations committed to promoting excellence in treating venous disease: the American Venous Forum and the American College of Phlebology. I am a diplomate of the American Board of Venous and Lymphatic Diseases. I and a few vein specialist colleagues in the region initiated a new conference on vein disease sponsored by the American Venous Forum. The West Coast Vein Forum will held annually in the western states. All of this reflects my commitment to excellence in providing vein care. Now, if you don’t have vein problems, all this talk about vein treatment and blogging about it might seem like pandering to womens’ vanity. But that would be because you think vein problems are only a cosmetic issue. And, you might think that because many physicians were taught that and pass it on to patients and friends. While most patients with varicose and spider veins do not develop serious problems, there are many who do, including ankle swelling, skin changes, and ulcerations. In many patients these complications slowly develop over decades. Many of our patients have had their venous disease neglected long enough for these problems to occur. Less serious, perhaps, but not unimportant, are the many patients who have heaviness and achiness and other discomfort in their legs, even to the point of interfering with activities. For all these patients, treating their vein problem is much more than a cosmetic issue. But let’s talk about that cosmetic issue for a moment. First of all, varicose and spider veins are not normal consequences of aging. In fact, they are abnormal veins, and usually develop in young women. Young moms. These young moms may have clusters of spider veins that cause people to ask how they got so bruised. Or, they may have lumpy varicose veins that make it look as if their legs are covered with tumors. So, they don’t wear shorts anymore – even in the Sacramento region where we have temperatures in the 100’s during the summer. So, the desire to rid of the unsightly veins is not about wanting to look younger, it’s about wanting to look normal. Consider the culture that surrounds our wives, sisters, mothers, daughters. There is a huge emphasis on beauty. Images of feminine beauty bombard American women. Magazines, TV, movies, billboards, and the entire array of digital screens. And not one, not a single one, of those images include varicose or spider veins. The message is clear. Everyone can be beautiful – everyone should be beautiful. And, beauty does not include varicose and spider veins. But, when these women ask their doctors about how they can have their veins treated, many are still told, “Don’t worry about it; it’s just a cosmetic problem.” That whole scenario is a demonstration of how to drive people crazy, but mostly it seems insensitive and cruel. So, all that is just to validate for everyone, men as well, that wanting to treat your leg veins is not just vanity. Oh, and for all of you who love to snicker when I use the word “vain” in the same sentence as vein treatment, one more time: It isn’t vain to want to be rid of your bad veins. I hope this first blog has been a bit informative, even entertaining. Stay tuned. We’ll have some fun. 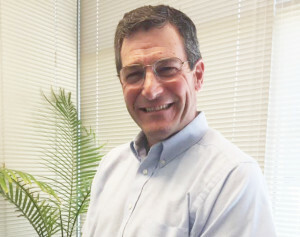 Daniel L. Monahan, M.D. opened Vein Surgery and Treatment Center of Northern California in 2001. The name changed to Monahan Vein Clinic in 2011. He is board-certified in surgery and a fellow of the American College of Surgeons. Treating vein disease is not something to learn in a weekend course. Dr. Monahan’s formal training included more experience in vein treatment than typical surgical training, and he carried this expertise into his practice.